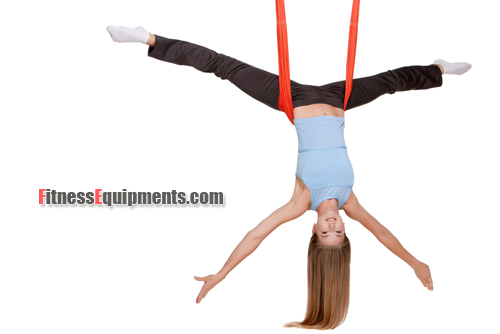 Suspension Training® is a registered trademark of TRX. However, if you ever climbed a rope, performed obstacle training across suspended ladders, watched trapeze artists or pole dancers recognize that suspension training is not new. Discussing philosophy gets you away from doing what needs to be done. TRX suspension straps is about getting things done. It is an effective piece of fitness equipment that uses your body weight in a sequence of exercises to improve your balance, core stability, strength, and flexibility. You could have complete body workouts or isolate any part of your body with a portable piece of equipment that you could carry anywhere. With hundreds of exercises possible with the TRX suspension trainer, you can find an exercise that fits almost any fitness goal. Without a very specific objective, TRX will be as useless as any piece of equipment sitting in your closet or under your bed. The only difference is that unlike bulky treadmills or fitness bikes, or even smaller portable fitness equipment like adjustable dumbbells, you could fit TRX in a drawer and forget about it. The conventional excuses for not using the exercise machine won’t cut it with TRX especially when you realize that it was invented by a Navy Seal, who wanted to perform strength training in a war zone. Next time you think about how your life is so busy and stressed remember that the inventor of TRX was in a war zone. The beauty of suspension training is that it works with leverage and gravity. You can begin the process at almost any level of fitness and at any age. You could reduce the intensity by getting close to the anchor point, and you could increase the intensity by moving away from the anchor point. TRX also lends itself to rehabilitation of those with limited range of motion. Unlike free weights and machines, you could move your hands and feet within your pain-free range of motion and extend your range gradually. After that, if your dreams of being get trapeze artist or pole dancer resurface, it is up to you to decide what to do with the urge. With the suspension trainer, you can move from one exercise to another quickly which is a time saver. In high-intensity interval training, the ability to move from one motion to the another without rest allows you to increase your per workout output, your cardiovascular strength and stamina not to mention calorie burning. In almost every exercise you perform in with suspension trainer, your core is engaged assuming that you keep your attention engaged as well. Unlike exercise machines, if you lose your attention, TRX does not make corrections for you. Freedom of motion and versatility TRX brings to the table, makes it necessary for you to pay attention. You need to learn carefully hands and feet are positioning to maintain optimal and safe alignment. You also need to pay attention and engage your core in a 360° fashion to prevent spinal instability that is the opposite of building core strength.